Etched Traumas is more than happy to release the latest work of Kaztalien. 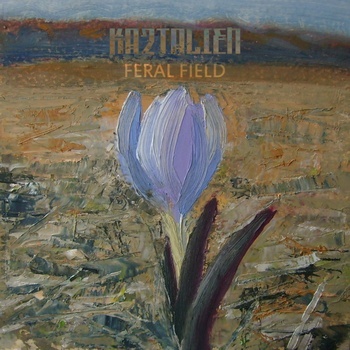 The inspiration for this work was a vast territory of Central Russia, called the “Wild Field”. Since ancient times, this area was inhabited by nomadic tribes and the tartar hordes, whose mounds and burial grounds in the old settlements can be still found. After the beginning of colonization of the Wild Field in the 17th century the “Tartar wall” was built – a high earth embankment with length of over 70 kilometers which protected settlers from nomad raids. Despite the fact that today’s wild field is under civilization’s devastating impact and has become a faded shadow of its former greatness of Nature, it is still able to make a lasting impression on the man who turned in solitude at the vast endless fields, steppes or overgrown shrubs banks of small rivers. Every track is a part of a ritual, a forest or a field landscape. You can feel the catacomb of barrows or the dripping water in a sacred cave. This entry was posted in News and tagged ambient, drone, Drust IV, Folk ambient, Kaztalien, ritual, Russia by bsom. Bookmark the permalink.